SACRAMENTO, Calif. (CN) – Hoping to ease the concerns of skeptical city leaders and tenants rights’ groups, a California lawmaker on Tuesday announced changes to his plan to loosen regulations and spark new housing near transit centers. State Sen. Scott Wiener, D-San Francisco, says he will delay the implementation of his proposed housing bill by two years – should it pass and be signed into law – to give cities time to adapt. He also agreed to lower height allowances for new condos and apartments near transit hubs from eight stories to five. Wiener says the amendments, submitted one week ahead of the bill’s first committee hearing, were created with the help of housing experts, local elected officials and other lawmakers. The changes come two weeks after the Los Angeles City Council voted unanimously to oppose Senate Bill 827. One councilmember called the bill “insane” and others argued that it would take local control over housing matters and give to lawmakers in Sacramento. Last week the San Francisco Board of Supervisors followed suit and voted 8-3 to oppose Wiener’s bill. Wiener’s proposal has gained traction with housing experts who support overriding local zoning and planning laws they claim have stymied badly-needed new housing development in cities like San Francisco and Los Angeles. The Democrat wants to reduce red tape and clear the way for developers to build new affordable housing near mass transit networks like the Los Angeles Metro and Bay Area Rapid Transit. Along with easing parking, density and height requirements for new housing projects, SB 827 would require there be no “net loss” of affordable housing on new developments: if a developer evicts or demolishes rent-controlled units near transit centers, they must replace the units with permanently affordable housing units. Critics have blasted the proposal, warning new apartment buildings will tarnish the charm of historical neighborhoods and encourage landlords and property owners to sell to opportunistic developers. Los Angeles-based Coalition for Economic Survival opposes the bill and says Wiener’s amendments are “meaningless” because they don’t protect tenants. “In fact, SB 827 could have an even more detrimental impact on our housing crisis by increasing gentrification, destroying existing affordable housing and displacing low income and working-class tenants,” the nonprofit’s executive direct Larry Gross said in a blog post. 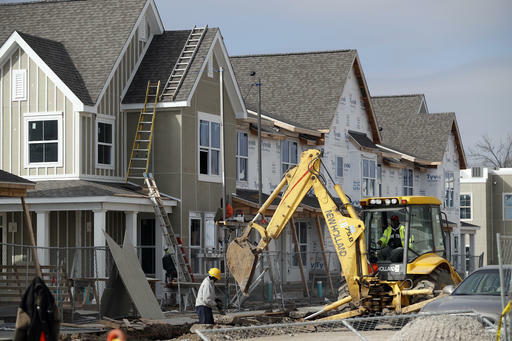 The housing legislation is slated to be heard for the first time on April 17 in the Senate Transportation and Housing Committee. Supporters say the bill would have the added benefit of ending “spatial mismatch,” by allowing workers in low-income neighborhoods to more easily access public transit. A nationwide group of law and history professors back the bill, saying it could serve as the “national model” for combating racial inequality in metropolitan areas. Signatories include professors from Georgetown, Pennsylvania, University of California, Berkeley, and New York University.